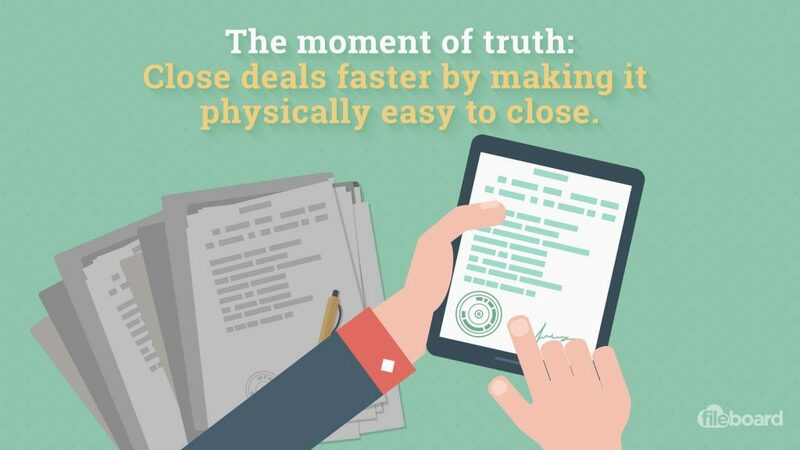 Closing a deal might happen 4 minutes after the first pitch or 4 months later. It’s up to you to convince the lead that they’ve made the right choice. The following is a compilation of 20 different ways to close a sale. Go ahead and use a few of these techniques to suit your own personality, brand, and customers. 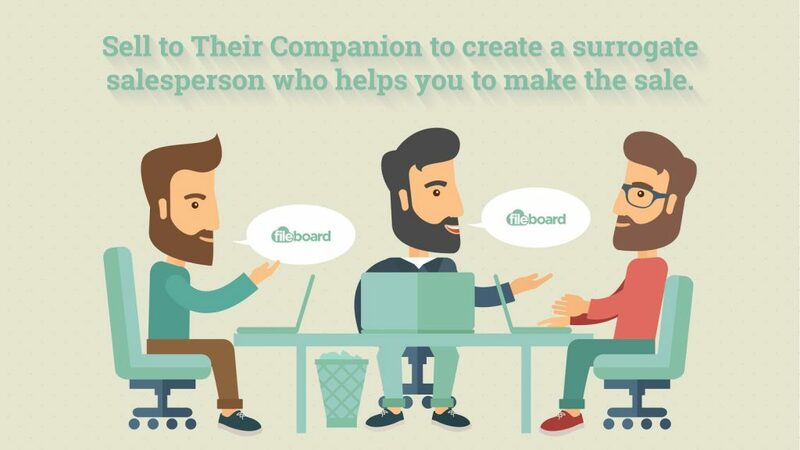 Guestpost by Fileboard, the sales startup from Dutch founder Khuram Hussain. 1. Practice, practice, practice your elevator pitch. You want to get your use case and key benefits to address the problem out in the time it would take to ride an elevator with a lead for several floors. The elevator pitch is a critical technique when your prospect’s attention span is short and you want to get more time to discuss your product. This is your first impression; and that’s why it’s the #1 closing technique. The difference between the customer walking away or staying to hear more comes down to this brief moment, more than any other part of your pitch. 2. Get a promise up front. 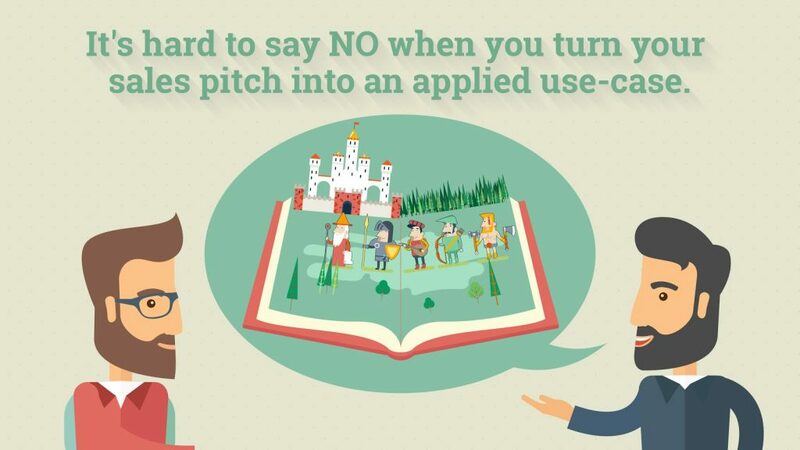 You want confirmation from them that they will make a decision at the end of your pitch/meeting. This sets the prospect up mentally to make a decision instead of saying, “I’ll think about it.” This is a good choice for already interested clients when you feel confident in the sale and want to speed up the close. Turn your pitch into an applied use-case with your client’s brand, and work out some real numbers with them to show how your offering would actually affect your prospect. This gets your client invested in the sales process. When they can literally see success happening to their own business, it’s very hard to say no! 4. Stress the key benefit. There’s a saying in sales that 80 percent of the buying decision is made based on 20 percent of the product information. There is generally a key feature of your brand that really appeals to your prospect – not necessarily the entire offering. During your presentation, if you notice that your lead is interested in a particular benefit—if they ask questions or keep coming back to one idea—make sure you keep hitting on that point. Sell what the prospect is interested in – you don’t have to pitch the whole product! You can save that for onboarding and training when they have more time to go over the best practices with your product. As you proceed through your presentation, keep checking in with your prospect to see how you are doing. Ask questions such as Do you like this feature? or Would you use this? Stay away from rhetorical questions like Isn’t this amazing? You want your prospect to actually make personal choices and decisions, not just repeating your pitch back to you. By getting them to say ‘yes’ early and often, you’re assured of a ‘yes’ at the end. 6. Start small and build to the final “yes”. This works well for situations where you can offer free samples or materials up front. Instead of simply plunking your freebie down, ask your prospect first if they would like to receive them. Get them to say yes for each little thing. Ask if the client finds it useful or enjoyable. Get them to say yes again. Ask them if they would like to know more … another yes. Build up to bigger asks and bigger decisions each time. 7. Invite the prospect to try it out. The invitational close is traditional and classic. Who can refuse? Whether it’s driving a new car or walking through a dream home, people rarely say no to trying something new. 8. Turn price into value. There’s always a natural resistance to pricing and many salespeople make the mistake of postponing talking about price until the end. Instead, work the value of your product into the presentation all along. Talk about what it would cost the client if they looked elsewhere, and show them what they’re getting as value-added or practically-for-free in your deal. When you feel you’re so close to getting a yes, but the client is throwing up one last objection, try to work with the client and be a little flexible. For instance, if price or monthly payments are an obstacle, get a yes by asking, “If we lower the price or extend the monthly payments, will you be more comfortable with that?” If you can get the client to say yes to that, then it’s time to quickly put a contract and pen on the table. 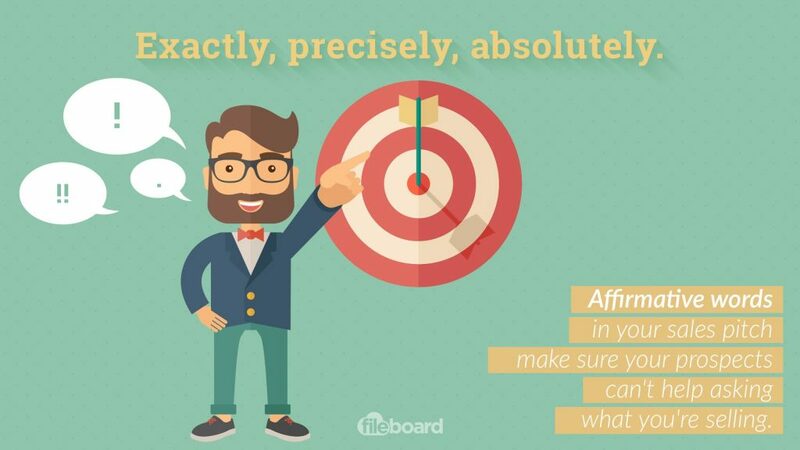 Use affirmative words like these even when the prospect has strong objections. I don’t have the budget for that, they say. That’s precisely why I’m calling, you say. It makes them curious and they can’t help asking what you’re talking about. These affirmative words convey that you totally agree that the customer has a problem and that you have absolutely, exactly, precisely the perfect solution. 11. Talk past the close. A little different than the this-or-that approach, this technique also assumes the person has decided to buy, and you help them think past the actual purchase by asking questions like, how soon do you need it? Where would you like it delivered? How would you like to make payment? 12. Tantalize with limited availability. Just look at the success of Prada handbags and 100 point wines. This type of close works well with luxury items and a wealthy clientele. Make it seem rare and desirable, and people will be lining up for it no matter what the price. But it can also work for anything from paint colors to stationery. Sometimes just hinting that an item might not be available suddenly makes it imperative in the customer’s mind. Also called the puppy dog close, this is the process of putting your product in the customer’s hands for a few days. Get them to take it home and use it for awhile, with a return envelope and date. If the object isn’t returned by the agreed upon date, the customer is charged for it. Clothing company StitchFix has built a great sales model on this concept. Personal stylists assemble customized monthly collections of clothing and accessories which they send out to their subscribers, who get to try them on at home and choose to return or keep the items. At the end of the presentation, summarize all the key points and benefits. Here’s where you can repeat the elevator pitch from #1 again, so if your prospect is going to tell their coworkers about your product, they’ll use your simple pitch. This is an important technique for all long and involved presentations—anything from giving a real estate tour to pitching a new software to investors. You want to hit all the top bullet points and leave them fresh in your lead’s mind. 15. Ask for the key objection. This is a closing technique for situations where you are pretty sure the client wants to buy, but you just can’t quite figure out why he’s resisting. Maybe you’ve already been through a whole slew objections and solutions and he’s still not purchasing. Even after you’ve given up and shaken hands, take one last stab at it by saying, may I ask why you have decided not to buy? Once you’ve concluded the meeting and seem to be out the door, the client is more likely to simply tell you the truth about why he’s reluctant to buy. At that moment, set your briefcase down and say, aha. I forgot to tell you about that. Take advantage of that moment to blast away the client’s final defenses and win the deal. An important part of any close, whether you get the deal or not, is to ask for personal referrals. If you have pre-qualified your client, and we’re assuming you have, your client’s friends and contacts are very likely in the same demographic, which will save you time and effort. Plus, getting that personal referral also helps get your foot in the door, saving you several steps and a lot of time spent getting the next appointment and sale. And plus-plus, when you ask a client to think of others who might benefit from your product or service, he’s going to start thinking that maybe he should take advantage of it as well. Alex Pirouz, founder of Linkfluencer, suggests making a video of customer testimonials and posting it on your website. 17. Sell to their companion. A great closing technique for real estate and retail, this technique focuses not on the person with the buying power, but their companion. If you can convince the companion that he or she wants and needs the house, perfume, car or whatever, then you’ve created a surrogate salesperson, and now there are two of you campaigning for the sale. In the bracket close, you create three pricing and package offers, with the target deal in the middle. This gives the client a wide-angle view of what your company offers, and creates a value proposition where the client can see that they’re getting a fair price and an excellent deal. 19. Make them work for the deal. Save any offers of discounts, bonuses, concessions and value-adds for the very end. If your prospect is still wavering, offer them ways to “earn” a package price or discount. Get them to step up by offering bonuses for an immediate decision to buy. They’ll come away feeling as though they’ve gotten the upper hand and a great deal. 20. Make the deal physically easy to close. Once you’ve convinced hearts and minds, you want to make the actual ordering as hassle-free as possible. Keep the paperwork to a minimum, and have any orders and contracts pre-filled and ready to go. If you need to bring along an assistant just to take notes and pre-fill forms, so you can be free to pitch the client and read their reactions, it may well be worth it to make the final closing as seamless as possible. Remember, when it comes to closing, it’s all about helping the client feel comfortable with their decision. You want to validate your customer’s decision and leave them feeling confident in your brand and your customer service. Want more sales tactics? Check out this article on the Fileboard blog. Also check out the original blogpost.